Obama: Expected to sign spending bill. WASHINGTON -- The U.S. Senate -- as expected -- passed legislation Sunday that would give as many as 2,150 rejected General Motors Co. and Chrysler dealers the right to seek reinstatement through neutral arbitration, sending the bill to President Barack Obama. The measure was part of a $446 billion spending bill that passed on a 57-35 vote today. 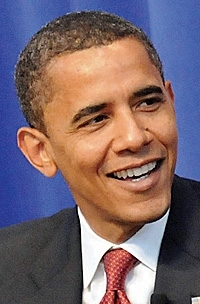 Obama is expected to sign the bill, triggering a six-month arbitration process. The House passed the bill on Thursday. Earlier in the week, a conference committee of congressional leaders approved the financial-services spending bill that included the dealer arbitration provision. The bill also would allow dealerships to "present any relevant information" during arbitration.